Stay connected and hear about what God and what we are doing. It’s meanwhile almost four decades that God has lead us in the true sense of the word a miraculous path ... and it hasn’t changed until this day. 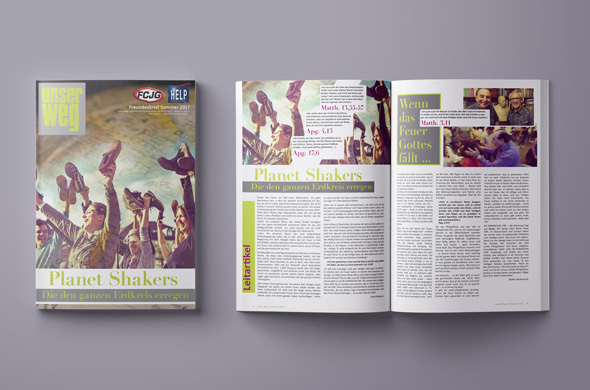 With each edition, Unser Weg talks about miracles, stories, impulses in our lives as well as in the lives of people we are walking alongside with – or to put it as Psalm 22 says – “My praise shall be of You in the great assembly”. Yes, I would like to receive 'Unser Weg' (The Path) via e-mail when it is published in English (max. 2x per year)!